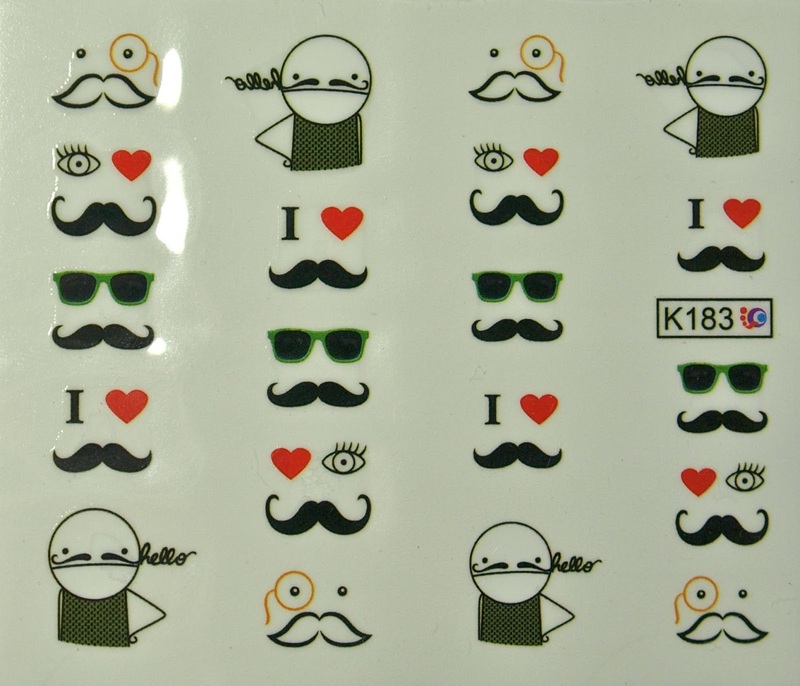 This set comes with 20 water decal stickers of five various mustache designs and costs $2.87 USD. Value wise these aren't as great as the feather set I reviewed last week, which had about 200 stickers for only about five dollars. However, I found these slightly easier to apply because there wasn't much wrinkling at all, and the design of these are so much cuter as well! I paired these with a neutral polish from Julep called "Alyson". For my ring finger, I used a custom color I made using one drop of "Joy" and one drop of "Daisy" (both from Julep). 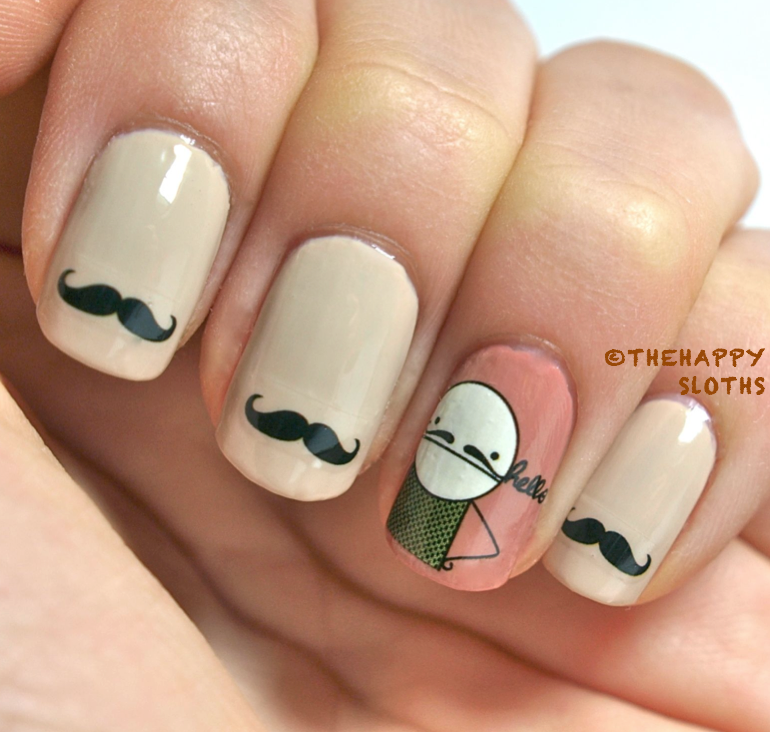 Here are some close-ups, I trimmed a few designs so I only had the mustaches. The stickers melds into the base color quite well and the clear outlines of the decals are only noticeable when you look at the nails up close. 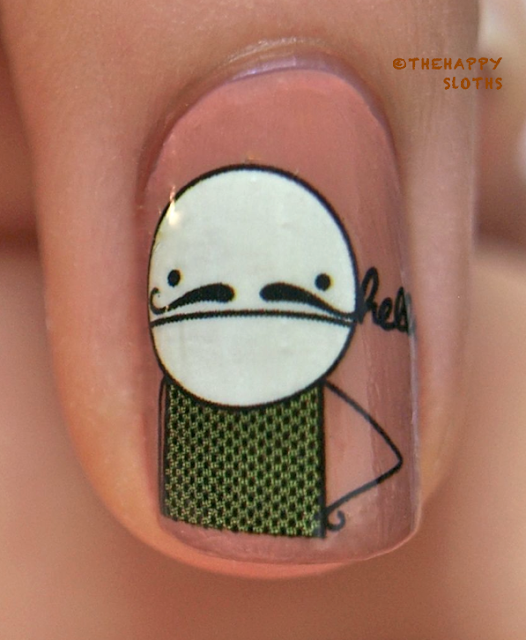 I love this little man, his mustache curls upwards into the word "Hello". 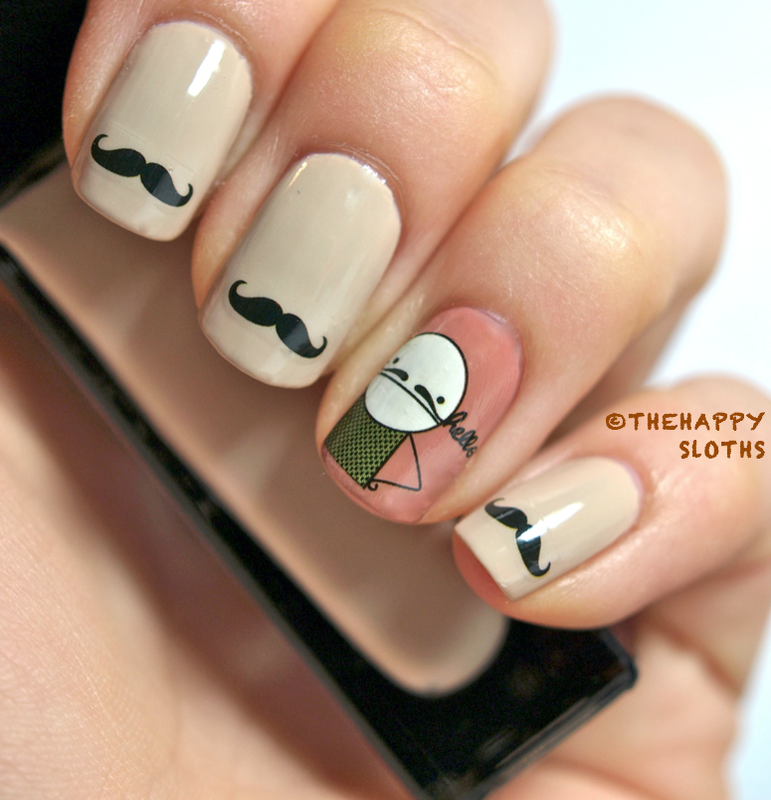 Anyways, these are absolutely a-dorable! 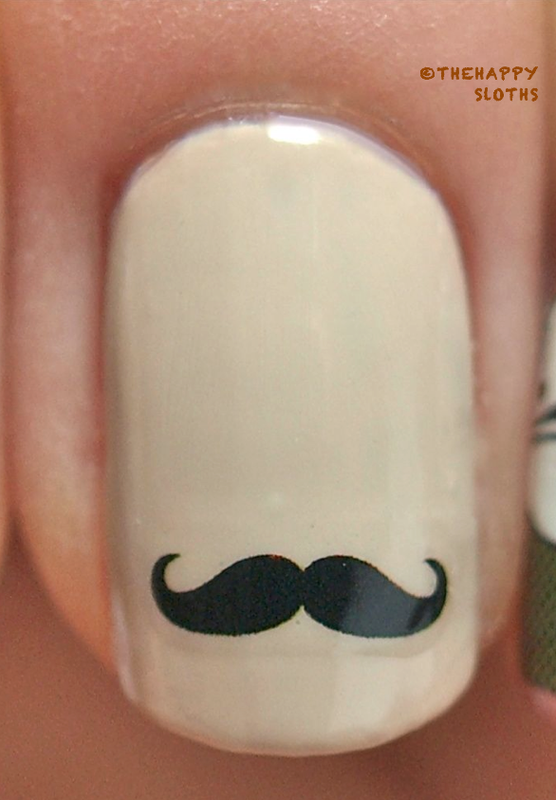 I got so many compliments while wearing this manicure! To check out this mustache water decal sticker set and many other water decal nail art designs, click on the banner below! Also, if you use the coupon code VGL91, you can get 10% off of your entire purchase!